Resurrection of Jesus Archives - Is Jesus Alive? How Bart Ehrman turns differences into contradictions: Did the women at the tomb of Jesus see a man at the tomb, two men, or two angels? It doesn’t depend on which Gospel you read, but how you read the Gospels. 7 reasons why Jesus couldn’t have possibly faked his own death. The Swoon Theory is a dead explanation for the empty tomb and resurrection appearances. I’m not normally one for just dropping a quote in a blog post and calling it a day, but this is a money quote on the evidential value of the conversion of Paul. I couldn’t pass up on sharing it. 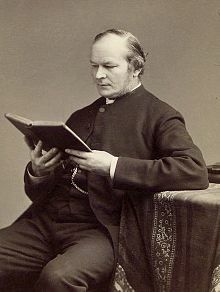 Farrar was a linguist, Anglican minister, and a teacher. He wrote primarily in the 19th century. He was also a pallbearer at Charles Darwin’s funeral, which makes me curious to know to the story there, but that’s personal research for another day, I guess. …it is impossible to exaggerate the importance of St. Paul’s conversion as one of the evidences of Christianity. That he should have passed, by one flash of conviction, not only from darkness to light, but from one direction of life to the very opposite, is not only characteristic of the man, but evidential of the power and significance of Christianity. That the same man who, just before, was persecuting Christianity with the most violent hatred, should come all at once to believe in Him whose followers he had been seeking to destroy, and that in this faith he should become a “new creature”—what is this but a victory which Christianity owed to nothing but the spell of its own inherent power? Of all who have been converted to the faith of Christ, there is not one in whose case the Christian principle broke so immediately through everything opposed to it, and asserted so absolutely its triumphant superiority. Henceforth to Paul Christianity was summed up in the one word Christ. And to what does he testify respecting Jesus? To almost every single primarily important fact respecting His Incarnation, Life, Sufferings, Betrayal, Last Supper, Trial, Crucifixion, Resurrection, Ascension, and Heavenly Exaltation. We complain that nearly two thousand years have passed away, and that the brightness of historical events is apt to fade, and even their very outline to be obliterated, as they sink into the “dark backward and abysm of time.” Well, but are we more keen-sighted, more hostile, more eager to disprove the evidence, than the consummate legalist, the admired rabbi, the commissioner of the Sanhedrin, the leading intellect in the schools—learned as Hillel, patriotic as Judas of Gaulon, burning with zeal for the Law as intense as that of Shammai? Fulfilled Prophecy or Fish Story? What did Jesus mean when he said the resurrection was the “sign of Jonah”? Critics say that Jesus never predicted his resurrection. These statements were allegedly put in Jesus’ mouth to further their theology. There are two big reasons why that’s false. No, the resurrection accounts in the Bible are not “fake news” because they are written by biased sources. Why the “Biased Testimony” objection fails. Can miracles pass historical tests? Charles Leslie, a 17th-century clergyman created a method for testing historical events. Jesus’ resurrection passed the test. Skeptics of his time couldn’t refute his criteria or the results.